Harvard University may be best-known as an academically intense Ivy League school, but it’s not all-academics-all-the-time at the oldest higher education institution in the United States. The internationally celebrated university also has an active athletic roster, participating in 41 intercollegiate sports as part of the NCAA Division I Ivy league system. 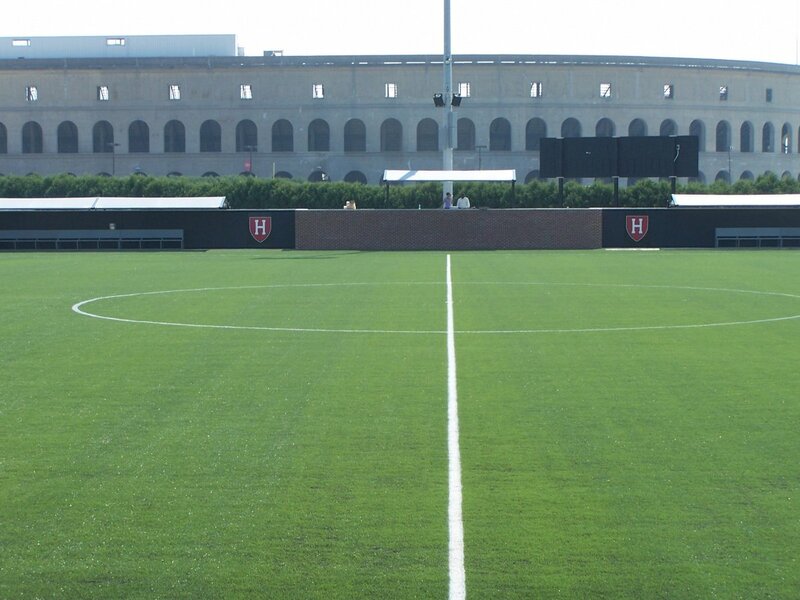 Audio Associates, based on Massachusetts, is a full-service systems design, engineering and installation company that has designed and installed many sports audio systems at Harvard. The company was recently given a challenge to quickly turn around a PA system for a new on-campus, multi-purpose field that saw its first event in September. Welch installed four Technomad Noho C loudspeakers, mounted high on lighting poles at opposite sidelines at the center of the multi-purpose field. This easily blanketed the bleachers, sidelines and fields with crisp, clear audio for the first soccer game of the season. The loudspeakers will remain mounted year-round through the snow, sleet, rain, heat and humidity of the northeast for soccer, lacrosse and other intramural sports. Welch used PoleStar rigging to mount and adjust the Nohos about 45 degrees off-center from each other, creating a 90 degree open pattern. The broad dispersion of the Technomad loudspeakers provided the even coverage they needed for the entire field. Technomad delivered the Nohos almost immediately, allowing Welch to procure and install the system within two weeks. The loudspeakers patch into a mobile rack prior to each event, allowing students to provide game commentary and play music from their iPods and personal players prior to, during and after each event.